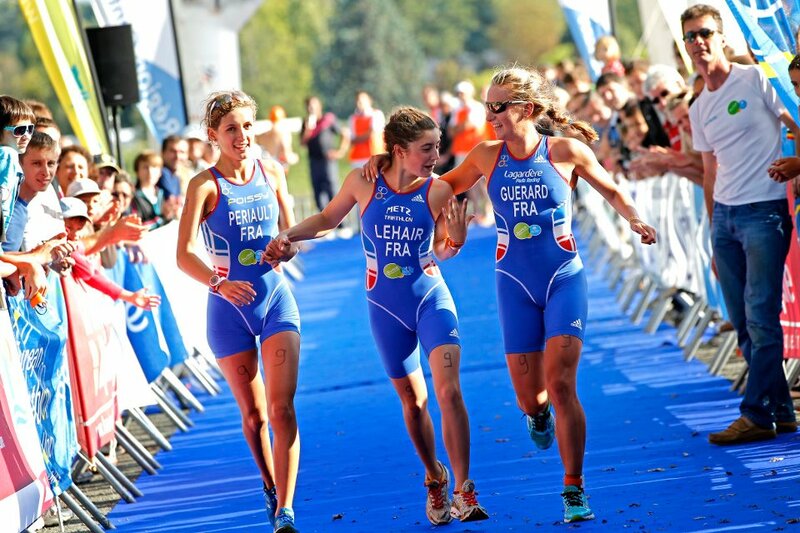 The European Triathlon season continues at pace with the third ETU Junior European Cup in Vierzon on Sunday. A bumper field is set to tackle the first ever International race in Vierzon, with National Federation places at the European Championships in Alanya potentially up for grabs. The French Federation have confirmed that their selection for Alanya will be made after this race and so this represents the last chance for a number of young French hopefuls. This is the first time an International race has been hosted in Vierzon, and it kicks off a busy few weeks of Triathlon activity in France with an ITU Paratriathlon Event in Bescançon the following week and the ITU Long Distance Duathlon Championships in Belfort on 1 June. The Junior Women’s race promises to be an exciting affair with a number of athletes listed in the starting line-up recording top five finishes so far this season. Ivana Kuriackova (SVK) has made a splendid start with victory in Quarteira and Horst. However, she suffered a DNF in Antalya a fortnight ago and will look to bounce back. A youthful Portuguese contingent including Melanie Santos, Luisa Condeco, Ana Ramos and Andreia Ferrum will be dangerous, especially if they work together. In the Junior Men’s race, Raphael Montoya (FRA) and Jorik Van Egdom (NED) will renew rivalries after a pulsating encounter in Quarteira where Montoya pipped Van Egdom on the line. Following that race, Van Egdom did taste victory in Horst at the ETU Duathlon Championships and he now he knows what it takes to win. Montoya, however, will be backed by the home crowd and it promises to be another fascinating battle between the two. British trio Marc Austin, Grant Sheldon and Gordon Benson begin their European season here. Last year, they all impressed with a combined 5 podium places between them in European Junior Cups and this will be their first European Cup race in 2013.